Do you know what to do if you’re stopped by the police? Do your children? This training focuses on the law “on the street” – what your rights are and how cops try to trick you out of them. We want to share strategies to survive police encounters. My name is Verbena Lea, and I am the Executive Director of PARC [Peoples’ Action for Rights and Community] in Eureka. After I phoned the Eureka Rescue Mission Executive Office on November 28, 2010, I received a return call from you the next day at the PARC office. I had back to back appointments and phone calls that day and apologize that I was unable to return your call. I appreciate your quick response; I was informed that you were going through some trying times, and hope you are well today. I have many concerns about the Eureka Rescue Mission, and have for some time. Here I will share with you some of my concerns and also a request. please send to me, in hard copy and/or electronic versions, the Eureka Rescue Mission’s policies, rules, requirements, and by-laws. Some of my concerns are related to what is purported to be Mission policy and what is actually enforced or imposed upon some or all of the people wishing to access the services. Much of my knowledge and understanding of the workings and requirements of the Mission are quite disturbing. I also have serious concerns related to the honesty and integrity of your employee, Bryan Hall – with respect to his treatment of program members and others seeking to access services at the Mission, in addition to his influence on Mission policies and attitudes, being that he is in a position of authority. Mr. Hall’s public defense of the fatal police beating of Martin Cotton in August of 2007 was not only incredulous but disconcerting. Furthermore, his indifference to the trauma experienced now and then by other people at the Mission who witnessed the beating puts into question where Mr. Hall’s loyalties truly lie and raises severe concerns as to his sense of humanity and his treatment and consideration of people who utilize Mission resources. When examining the Eureka Rescue Mission website, I find a number of discrepancies or perhaps omissions in terms of what is stated on the website versus what really happens at the Mission and what is required of people seeking shelter and/or meals at the Mission. I would like to point out a repeat occurrence that is just one part of a longer list of what I consider unethical and troubling practices of the Eureka Rescue Mission. There are announcements, from time to time, by Mission staff, forbidding certain activities outside of the Mission, for instance, sitting in certain areas of town. These announcements include explicit threats of exclusion from access to food and shelter at the Mission for anyone who engages in such activities. 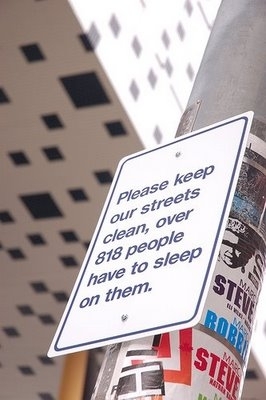 Given the non-threatening and non-violent nature of such ‘forbidden’ activities, such as sitting in certain areas of town, the Mission’s arbitrary rules seem unreasonable, intrusive and oppressive, and appear to emerge from the whims (and fears) of whoever is in charge at the time. As stated above, I am hereby requesting written and/or electronic copies of the policies, by-laws, and any other written and unwritten rules, requirements, guidelines, tenets, etc. of the Eureka Rescue Mission. My purpose is to gain some clarity as to how the Mission is supposed to be functioning in our community, which I may find is different than how it currently functions. Most important, I think it is critical to have transparency from the Eureka Rescue Mission, not only for myself, but also for the organizations I work with, the people who frequent the Mission, people who may in the future seek to volunteer or receive assistance at the Mission, and the general public. I am aware that the Mission receives consistent monetary and other donations from the community. Integrity demands that the same community be provided the truth, so it may understand how the Mission conducts itself. The community deserves to know, not only how many beds, meals, and sermons occur, but also the systematic indignities that unfortunately are perpetuated by the Eureka Rescue Mission against people who need to utilize its resources. I imagine that your Board of Directors is unaware of some of the nefarious goings-on at the Mission by people in positions of authority and that the Board does not know of some of the unpublished “policies.” Thus, I intend to respectfully make the Board members aware. Please understand that my request comes from a sincere care for the well-being, rights and dignity of all people. Perhaps my request will present your organization with an opportunity to examine how things are going, tidy up, solidify its position on various aspects of its operations, and tend to any situations or practices of the Mission that are at odds with the humanitarian and empowering example of Jesus Christ. Thank you for your immediate attention to these matters. Please respond at your earliest convenience. Electronic documents can be sent to this email, and hard copies to the PARC address below. Days of Action To Stop Police Brutality, Repression and the Criminalization of a Generation, October 22nd and 23rd! This workshop focuses on the law “on the street” — what your rights are and how cops try to trick you out of them. We want to share strategies to survive police encounters. 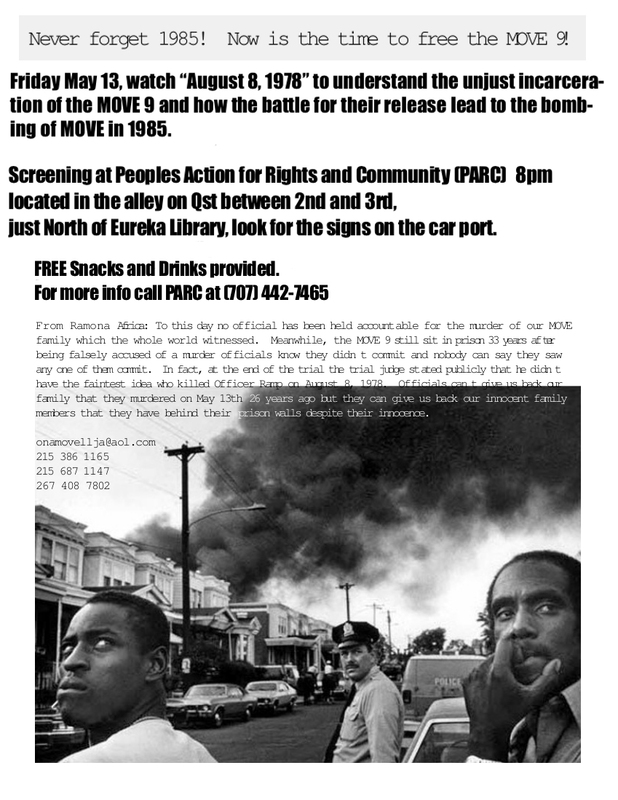 The training will be in EUREKA at PARC [Peoples’ Action For Rights and Community].